It can be hard to find the ‘right fit’ for who will preside over your wedding ceremony, including the often-complex family dynamics that can add to that challenge. I started officiating weddings in 2009, and I consider it a sacred opportunity to be invited into your lives as you join together. 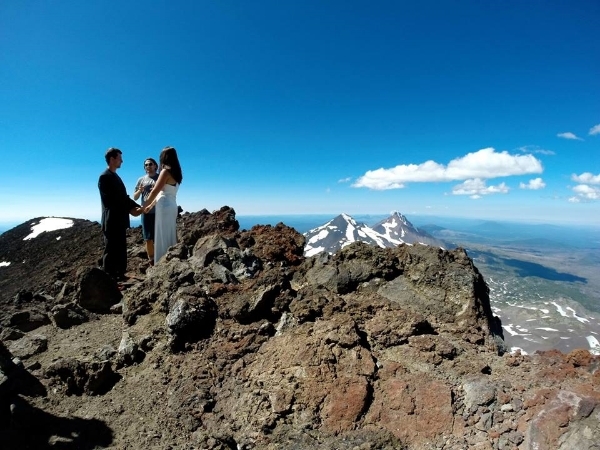 I believe that the unique couple and their individual and collective values and beliefs should be at the heart of a wedding ceremony, regardless of whether it takes place at the top of a mountain, in your home, or at another venue. Through pre-marital counseling I will become acquainted with your hopes and wants for the big day and learn the defining aspects and moments of your relationship. It is during those sessions that we shall also explore your perceived relational strengths and areas you can continue to adjust both individually and as a unified couple in the years to come. If you are from out of the area these sessions can be conducted over FaceTime or Skype. I offer a wedding package that includes a consultation, three pre-marital counseling sessions, and the wedding ceremony preparation and officiating. I can also provide pre-marital counseling sessions as a separate service. Please call or email to if you would like to see whether I am the right fit for you and yours!